We of the HIA-Haruspex International Arms, would like to extend our thanks for viewing this purchasing catalog of various products meant to ensure defense of your sovereign borders, expanding into territory you desire, and or complimenting your army or perhaps even building your first. Haruspex International Armaments (HIA) has been putting ideas into action for our clients since 2005, supporting the sale of arms, munitions, vehicles, aerocraft, naval technology, space technology, research and creation of bioweaponry,biologicals, radiologicals, chemical class weaponry and more to any and all that can pay our prices. Furthermore we offer a wide range of high-priority defense requirements working just within the confines of international law, so that we may exploit the work, efforts, and people who toll in our factories to produce quality products for our customer base. As per a fair number of our general admittance employees are considered dissidents and or prisoners, there is a vast amount of savings to our customers as per these workers do not need payment, which drives the cost of our products down. Haruspex International Armaments espouses a free trade agreement with all nations whose budgets can afford our weaponry and equipment. Everything from relatively simple small arms systems to that of high tech weapons can be found via our product catalog. HIA is amongst the leaders in the development of highly innovative and effective solutions for our clients. We deliver tailored solutions without bias for specific technology, and we are committed to helping government, industry, and nonprofit organizations gain and sustain a competitive advantage. Keep in mind that we offer a wide breadth and depth of services and capabilities, and many projects combine the strength of several of the following four categories, bringing the appropriate experts from throughout the company to work on your project. We partner with our clients to ensure they benefit from the full breadth of our capabilities. Advanced Materials and Manufacturing – HIA engineers and scientists are combining metals, ceramics, and polymers in novel ways to provide superior structural solutions. We’re developing advanced armor and innovative ways to protect weapons platforms from mines and other threats. We continue to develop innovative approaches to mitigate metallic corrosion and other forms of material degradation. From product design and development to surface-engineering technologies to robotics, HIA offers world-class manufacturing improvement capabilities. Command, Control, Communications, Computers, Intelligence, Surveillance & Reconnaissance (CISR) – HIA products and engineering services are helping warfighters and security workers achieve information superiority. HIA’s nascent technologies and solutions are enhancing battlespace awareness; improving communications, information assurance, intelligence analysis, and technology protection. Readiness – Technology enhancements help keep a multitude of nations prepared at a moment’s notice. HIA is advancing the development and deployment of reliable and secure information networks, streamlined business practices, efficient and effective logistics solutions, and training transformation initiatives and technologies to help meet diverse needs. Energy and Environmental Sustainability – HIA delivers sustainable advanced energy and environmental solutions by leveraging our extensive background in advanced fuels, distributed power, alternative energy, environmental management, and strategic sustainability planning. HIA’s work focuses on advanced and emerging technologies that can contribute to energy diversity and security, environmental sustainability, and pollution prevention, as well as waste management and clean-up. Haruspex International Armaments is not only a manufacturing source of weaponry, it is also a private military consulting firm founded in Hades, initially existing as a private security agency but quickly expanding into private military contracting and weapons research & development. The particular details of the company's origin are unclear, as well as the specifics of how they managed to quickly gain a foothold in the military consulting business. Corporate headquarters are located in the ward of Sveld. Current industry estimates place the total value of HIA's current contracts at several hundred billion credits. 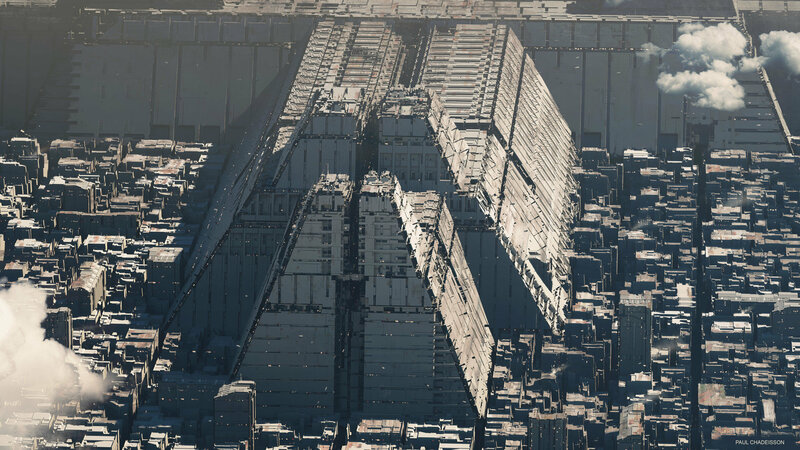 The company has consulting, training & procurement contracts with state-owned and privately-owned military and law enforcement agencies in the Imperium the territory protectorate of Kaldana, as well as those it holds military and trade licenses with, such as the nation of Korrodos. Furthermore, the corporation aids in the development of research, and progression of the next generation of armaments designers by being a partner of the prestigious Legion International University and through it, The Legion Defense College. Field trials of the new HIA artillery reconnaissance system have been completed. The new HIA Creamt Series 01/A (Shield, Pronounced: "KU-raeayahm-te") mobile weapon locating system, commonly known as counter-battery radar, designed to detect and track incoming artillery and rocket fire to determine the point of origin for counter-battery fire. The tests, which took place at HIA's Operational Combat Testing Ground, allowed to confirm the technical specifications of the Creamt Series 01/A, which significantly exceeds the counter-battery radars, which are now in service with the HIL (Haru Imperial Legionary). Counter-battery radar Creamt Series 01/A is intended for reconnaissance positions of enemy artillery. Thanks to a powerful radar station that operates in the microwave range, the radar “sees” the artillery shells, and the powerful digital system “builds” the trajectories of their flights. The new Creamt Series 01/A has a larger antenna and can detect guns at 28 km, mortars at 30 km and rockets at 55 – 80 km depending on their size, and locate targets. The Creamt Series 01/A provides effective firing activity under the conditions of reduced visibility and enemy electronic counter-measures; increase of the reconnaissance and killing area by a factor 8 to 10 times, in comparison with the battalions equipped with standard facilities; reduction of fire mission execution time by a factor of 1,5 to 2 times; reduction of the ammunition expenditure by a factor of 2,5 to 3 time. HIA, after successful completion of field tests, is ready for serial production of Creamt Series 01/A to provide the HIL (Haru Imperial Legionary) within three months and an export version within six months. HIA Chief Procurement Officer & Director of the Armaments Research Systems Division, Jin Ka Me Sargtlin said HIA has successfully conducted a long-range precision strike missile test on 4 April. On Thursday, the advanced version of the LRPM-01/B missile system, called the "Ynnuf-B" (Pronounced: "AEnnoo-fe"), has been tested, with its missiles being capable of striking the target almost twice as long as those that are currently on armament of the HIL (Haru Imperial Legionary). 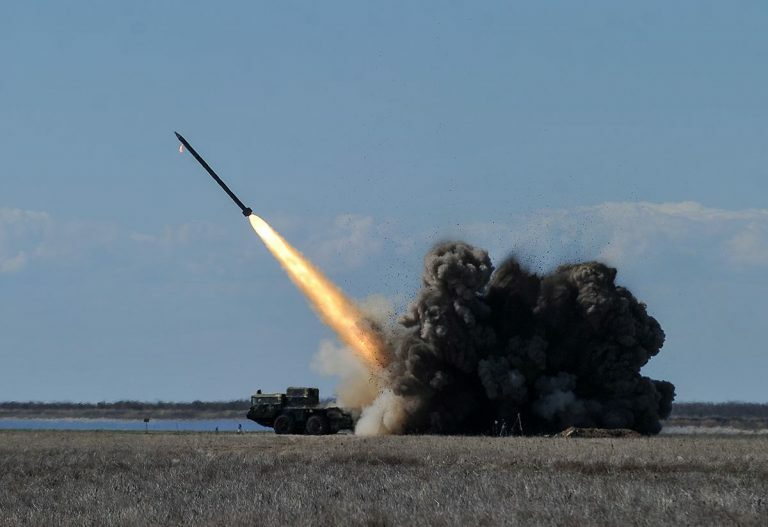 The ARSD Officer reminded that last year, the mass production of the “Ynnuf-A” missile system was launched; the system was put on armament of the HIL (Haru Imperial Legionary), “its missiles hit the target precisely at a distance of 70 km”. “But our designers and manufacturers continued to work on the further improvement of missilery, and very important tests of the modernized “Ynnuf-B” system, with its new missiles striking at a distance of 130 km, have been carried out today”. According to Officer Sargtlin, the use of missiles for the destruction of targets at the maximum range, as well as the accuracy and efficiency of the target destruction was checked. “The missiles confirmed the specified characteristics, precisely destroying the targets at a distance of 120 and 130 kilometers”, – he said adding that the work of the new command system, the effectiveness of the navigation equipment, and the quality of the new missile fire control system were also checked. “Within the shortest time, we received a more powerful missile, and I want to emphasize that the work of our scientists and designers within the framework of the implementation of the missile program approved by the ARSD, continues systematically”, – the ARSD Officer noticed. He informed that in the near future, it is expected to complete the development of a new generation of missiles of this class, capable of striking targets at distances of 200 and more kilometers. Especially concerning ever frosty relations with southern neighbor The Greater Holy Empire of Tagmatium and Western neighbor The Grand Federal Imperium of Adaptus, the military and HIA are continually at work to keep the fatherland secure. my name is Liên Viênxuân, CEO of Elegy Corporation. This appears to be the first instance of our corporations interacting, therefore, let me express my respect for You and the workers of Your company for their decades of continuous industriousness. The reason why I seek to get in touch with You is Your recent advancement into a market which is currently under the monopoly of Elegy Corporation: mass data analysis and crime prevention algorithms. The Radiant Republic of the Sunset Sea Islands, whose government is a valued customer of my company, is a prime example for the success of such measurements. Ever since the nation-wide implementation of the Synapse System, an AI-optimised system cumulating and evaluating CCTV footage, internet traffic, movement patterns and profiling data, in 2017, the crime rate in the SSI plummeted. Never before, in the entire history of the Sunset Sea Islands, has the risk of terrorism in the nation been lower. The success of our product has sparked international interest, resulting in individual applications of the Synapse System overseas. The newly announced s﻿ystem for Collection and Analysis﻿ of Open Source﻿ Data﻿ produced by Haruspex International Armaments and the Imperium Security Services appears to be in direct competition with our own flagship product. 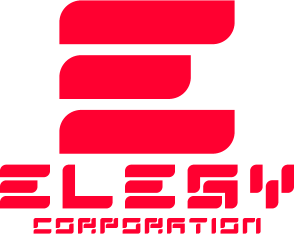 However, Elegy Corporation has always been supportive of disruptive technology. Although we believe that healthy competition is a driving force in the development of new and revolutionary technologies, we prefer to invest our funds into R&D than brand competition campaigns. As a sign of goodwill, Elegy Corporation hereby suggests limited cooperation to exchange know-how between our nations and to improve the quality of our products. The growing tech capital of the Radiant Republic, the city of Tenma, might be an ideal spot for our companies to work together to optimise the technology both of our companies develop for the sake of a safer tomorrow. We hope that You will accept this proposal, for the sake of safety and the future prosperity of our corporations. control of the sky intelligence & awareness attack mobility. This video provides examples from the First and Second World War, the Korean War, the Vietnam War, the Six Days War, Desert Storm, the US Invasion of Panama and Iraq (2003). It also discusses the limitations of Air Power, drones, satellites, the OODA Loop and Trenchard Model.